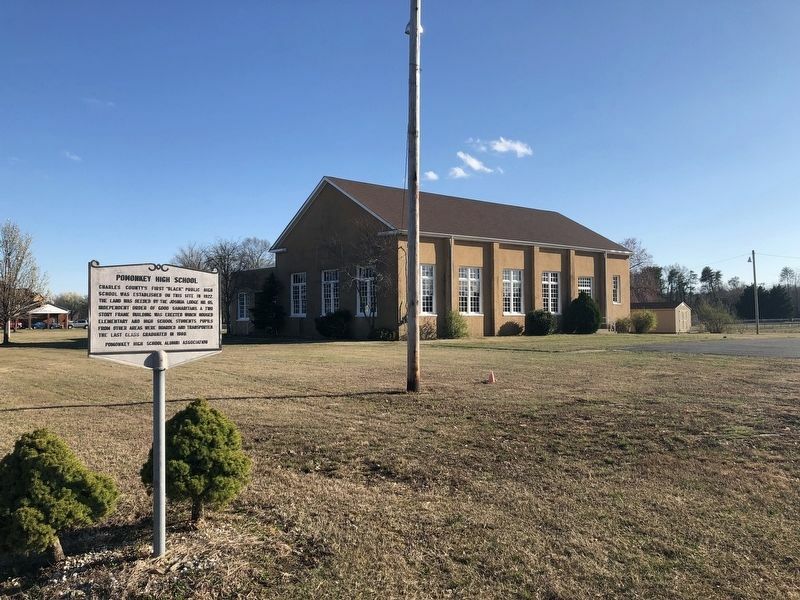 Charles County's first "black" public high school was established on this site in 1922. The land was deeded by the Joshua Lodge No. 65, Independent Order of Good Samaritans. A two story frame building was erected which housed elementary and high school students. Pupils from other areas were boarded and transported. The last class graduated in 1969. Erected by Pomonkey High School Alumni Association. Location. 38° 37.137′ N, 77° 4.581′ W. Marker is in Indian Head, Maryland, in Charles County. Marker is on Metropolitan Church Road east of Laurel Acres Drive, on the right when traveling east. Touch for map. Marker is at or near this postal address: 3395 Metropolitan Church Road, Indian Head MD 20640, United States of America. Touch for directions. Other nearby markers. At least 8 other markers are within 5 miles of this marker, measured as the crow flies. The Story (approx. 2.8 miles away); Eutaw (approx. 2.9 miles away); Araby (approx. 3.4 miles away); Saint Charles of Cornwallis Neck (approx. 3.4 miles away); Church of St. Joseph (approx. 3.7 miles away); First People of the Potomac (approx. 4.2 miles away); Marshall Hall (approx. 4½ miles away); a different marker also named Marshall Hall (approx. 4.7 miles away). Touch for a list and map of all markers in Indian Head. More. 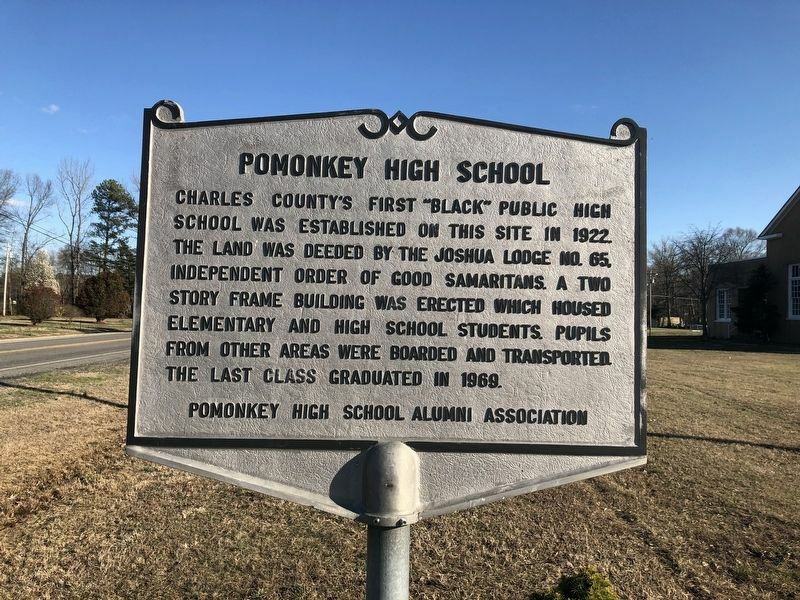 Search the internet for Pomonkey High School. Credits. This page was last revised on March 31, 2019. This page originally submitted on March 31, 2019, by Devry Becker Jones of Washington, District of Columbia. This page has been viewed 33 times since then. Photos: 1, 2. submitted on March 31, 2019, by Devry Becker Jones of Washington, District of Columbia.